Not awesome but not awful. It works fine for just messing around with my cheap 1928 Mosin. I own a M91/30, M44, and just acquired a M39 Finnish Mosin, and this ammo seems to shoot the best of any type I've shot through them. 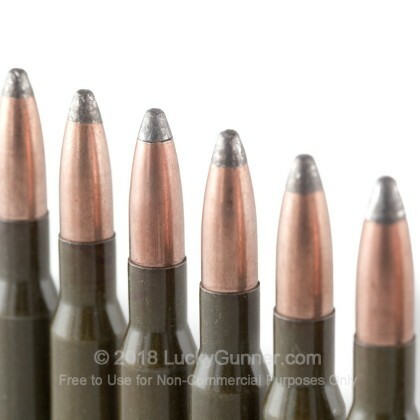 Mosins in general seem to prefer the heavier 200+ gr stuff, but my Finnish Mosin especially does the best with this ammo. The only downside is the stout recoil, but if you're looking for great accuracy on the cheap, this ammo is the best way to do it. Buy a slip-on recoil pad, get some of this stuff, and head to the range. I recently did a video where I shot 6 different types of commonly-available 7.62x54R, and this ammo came out on top. 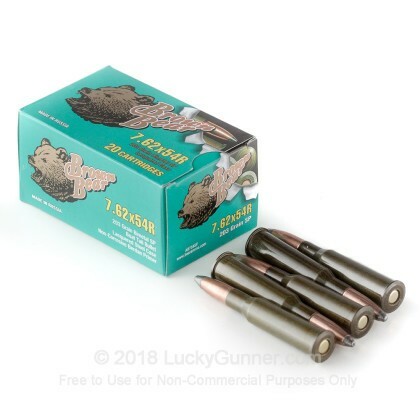 Great ammo roughly a one inch group from MY Mosin, yours may absolutely hate it, I'm normally not a huge fan of heavy weight bullets but these have defiantly surprised me. 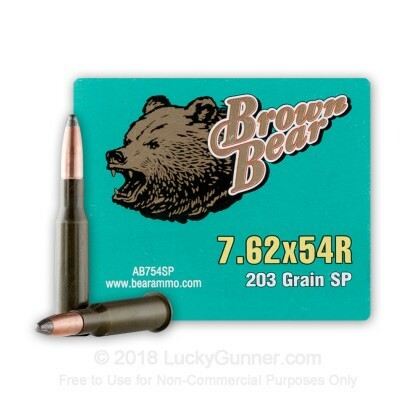 Brown bear ammo is great ammo for hunting. Ordered from lucky gunner.recieved my ammo quickly. Definitely will order more ammo from them.they are awesome. Thank you lucky gunner. 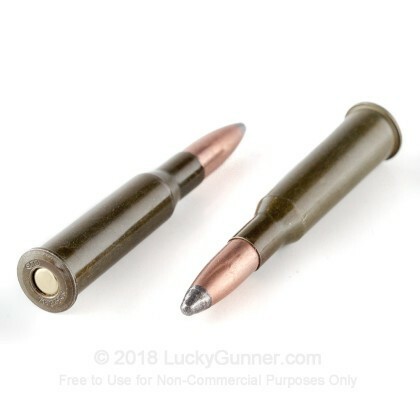 Q: Are the bullets in these cartridges magnetic? Q: Is the berdan primer corrosive or harmful in any way. A: Hello Andre, This Brown Bear ammunition is new manufacture and does not feature any corrosive components! Please click here for our current in stock specials on 7.62x54r! 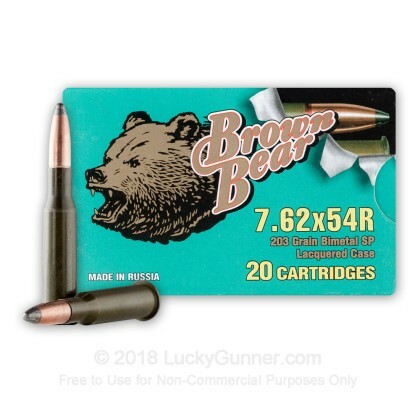 We also have this 7.62x54r - 203 gr SP - Brown Bear - 500 Rounds ammo in stock in a bigger quantity.